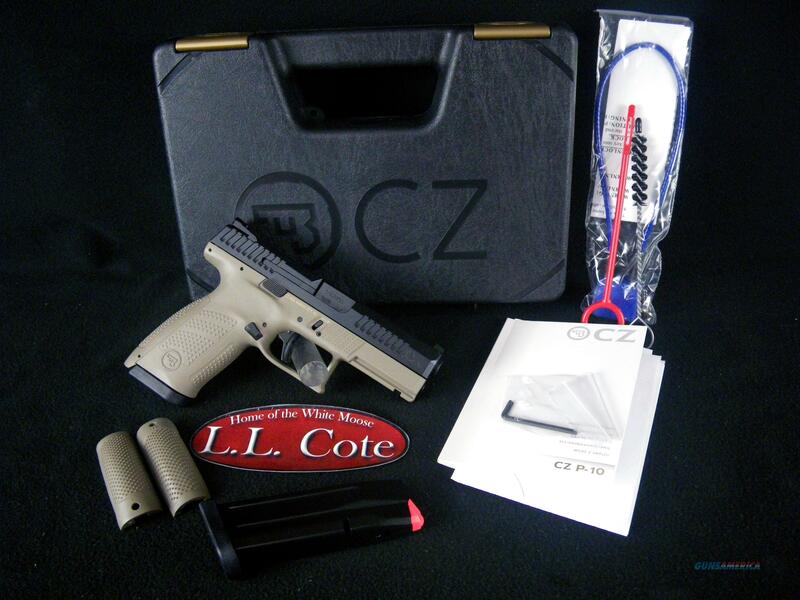 Description: You are bidding on a CZ P-10 C FDE in 9mm with a 4.02" barrel. With the CZ grip angle, the P-10 avoids that ‘brick-in-the-hand’ feeling that has plagued many in the striker-fired genre, allowing it to point naturally. A mild palm swell, deep beavertail and three interchangeable backstraps make the P-10 fit a wide variety of hands as if it were built for them. Built to withstand the rigors of military use, its fiber-reinforced polymer frame and hardy nitride finish are made for the daily grind. With CZ reliability, engineered ergonomics and a bevy of features both familiar and new, the P-10 is the complete package. Displayed images are stock photos. Any questions please feel free to ask (our phone number is in the additional information tab above).